Jupiter pushed past the other planets with the recent discovery of 11 new moons, bringing its total to 39. A team of US astronomers discovered the additional satellites (all 2-4 kilometres in diameter) using one of the world’s most powerful telescopes: the Canada-France-Hawaii 3.6 metre. Digital images of the space around Jupiter were processed using computers to detect objects moving in orbit, and to reject passing asteroids. The discovery of 11 small moons orbiting Jupiter leapfrogs the number of that planet’s moons to 39, nine more than the record of the previous champ, Saturn. A team led by astronomers from the University of Hawaii, Honolulu, made the discovery based on images taken in December 2001 and later follow-up observations. Orbits were determined by collaborators at NASA’s Jet Propulsion Laboratory, in Pasadena, Calif., and the Harvard-Smithsonian Center for Astrophysics, Cambridge, Mass. Researchers estimate the new-found natural satellites are each about two to four kilometers (one to two miles) in diameter, and were probably passing rocks captured by Jupiter’s gravity long ago. The discovery-team leaders, Scott Sheppard and Dr. David Jewitt of the University of Hawaii, also discovered 11 other small satellites of Jupiter in 2000. The new moons were discovered by Sheppard, Jewitt and Jan Kleyna of Cambridge University, England. They used the Canada-France-Hawaii 3.6-meter (142-inch) telescope with one of the largest digital imaging cameras in the world to obtain sensitive images of a wide area around Jupiter. The digital images were processed and searched using computers. Candidate satellites were monitored in the succeeding months at the University of Hawaii’s 2.2-meter (88-inch) telescope to confirm their orbits and to reject asteroids masquerading as satellites. 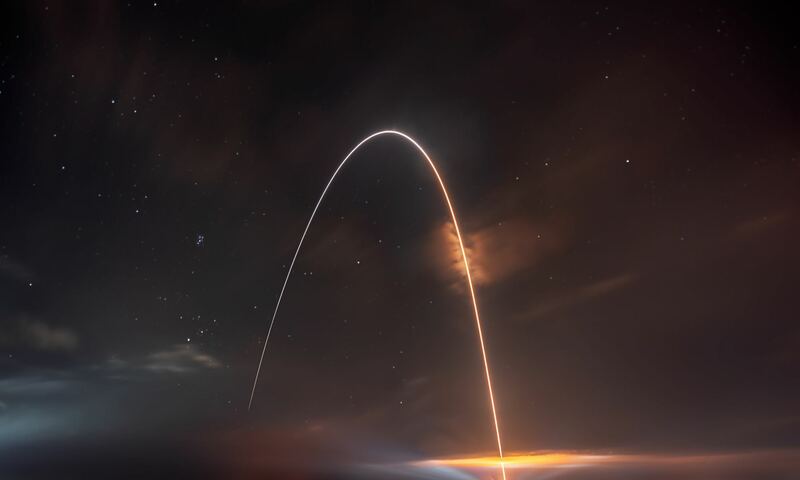 JPL’s Dr. Robert Jacobson and Harvard-Smithsonian’s Dr. Brian Marsden determined the satellites’ irregular — highly elongated and tilted — orbits. All 11 objects orbit in the direction opposite to the rotation of the planet. The orbits of the irregular satellites strongly suggest an origin by capture. Since no efficient contemporary capture mechanisms are known, it is likely that the irregular satellites were acquired when Jupiter was young, possibly still in the process of condensing down to its equilibrium size. As yet, nothing is known about their surface properties, compositions or densities, but they are presumed to be rocky objects like the asteroids. The new discoveries bring the known total of Jovian satellites to 39, of which 31 are irregulars. The eight regular satellites include four large moons discovered by the astronomer Galileo Galilei and four smaller moons on circular orbits closer to Jupiter. Jupiter’s nearest rival for having the largest number of known satellites is Saturn, with 30, of which 13 are irregular. The satellites were formally announced by the International Astronomical Union on Circular No. 7900 (May 16, 2002). More information about them is available online from the University of Hawaii at http://www.ifa.hawaii.edu/~sheppard/satellites/jup.html. Other information about the Jupiter system is available from JPL at http://www.jpl.nasa.gov/solar_system/planets/jupiter_index.html. The Institute for Astronomy at the University of Hawaii conducts research into galaxies, cosmology, stars, planets and the Sun. The Canada-France-Hawaii telescope is funded by the University of Hawaii and the governments of Canada and France. JPL, a division of the California Institute of Technology, Pasadena, is NASA’s lead center for robotic exploration of the solar system.